With the Senate’s 98-1 backing, it looks like Congress will have a say in any final Iran deal. If you weren’t looking closely, you might read today’s 98-1 vote in favor of a bill that would allow for a 30-day period for congressional review of the terms of the United States’ participation in any final deal reached between the P5+1 group of powers and Iran this June as a bipartisan triumph. True, senators from both parties did come together (with Tom Cotton, the junior senator from Arkansas, the sole dissenter), but this show of bipartisan camaraderie is just building up to a greater storm over the summer. Within the Republican Party, notably, the bill’s passage signaled a lack of interest in further amending the legislation–engineered primarily by Bob Corker and Robert Menendez earlier this year–according to the whims of some of the party’s more demanding legislators. 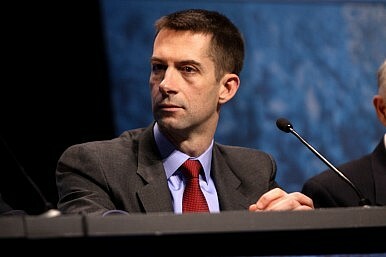 Cotton, the sole dissenter, grabbed headlines earlier in the year when he and 46 other Republican leaders sent a letter to Iran’s Supreme Leader Ayatollah Khamenei, outlining what they perceived as the constitutional fragility of the United States’ ability to commit to any final Iran deal. In April, the Obama administration noted that it would comply with the provisions of the Corker-Menendez bill, should it become law, and allow Congress a final say on the deal. The bill will soon head to the House of Representatives, where it is also expected to gain approval. Legislative oversight of the Obama administration’s foreign policy has been a popular topic recently; while Corker-Menendez will tie the administration’s hands in navigating the final weeks of the negotiations with Iran, Obama is set to gain “fast-track” negotiating authority for another of his major foreign policy initiatives: the Trans-Pacific Partnership. The United States, along with China, Russia, the United Kingdom, France, and Germany, is looking to reach a final deal with Iran over its nuclear program with a provisional June 30 deadline. Though both sides have come to a general agreement on Iran’s concession, the primary stumbling block appears to be the nature and extent of Iran’s sanctions relief (along with other technical issues). While some uncertainty persists about the nature of a final deal and the ease with which negotiators will get there by the deadline, what is certain is that Congress will host a bitter partisan fight over the final approval of the deal. In the event that the final deal is deemed unacceptable by U.S. legislators, it is likely that the president would employ the veto anyway. Still, with a strong bipartisan showing in favor of congressional oversight over the administration’s foreign policy, Democrats and Republicans may be able to come together and scrape together the required votes to override a veto, effectively guaranteeing no final Iran deal without their imprimatur. And why that invitation should signal a US policy change toward normalization.